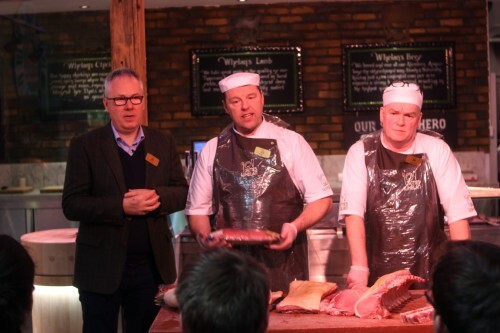 Our evening butchery demonstrations take place in our James Whelan Butchers branch in the Avoca food market. 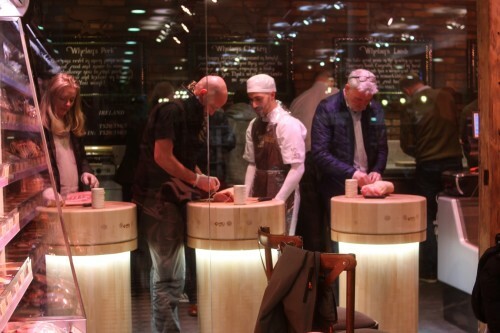 Two of our master butchers will demonstrate knife skills, pork and beef butchery while you sit back and enjoy the experience. Welcome and catch your breath after a long day with a glass of wine and some of our very own James Whelan sausage rolls . 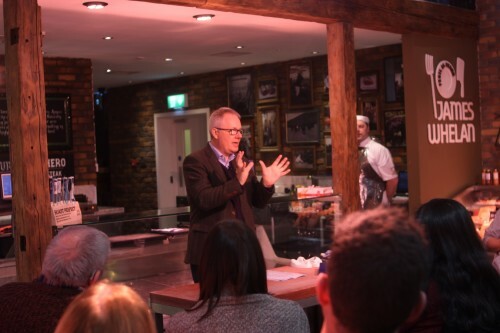 We will introduce to you our qualified butchers and give you a brief overview of James Whelan Butchers /Family & History. This introduction to the course starts with the most important tip of all: using knives safely. We know that a blunt knife is a dangerous knife, so we will demonstrate the correct sharpening process of knives, what tools to use when sharpening and how to approach different knives in different ways. 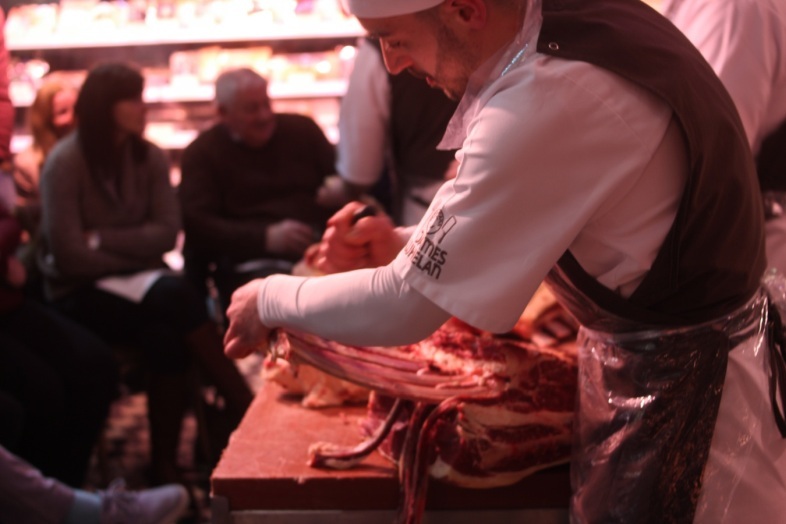 We begin our meat demonstration as our butchers will break a side of pork into its different cuts, during this section you will gain a better understanding of all the cuts, how to cook them and give you the confidence to walk into a butchers shop and buy whatever you want. 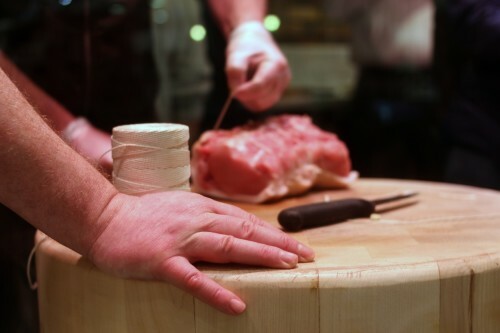 We also explain the characteristics of what makes really superb pork. 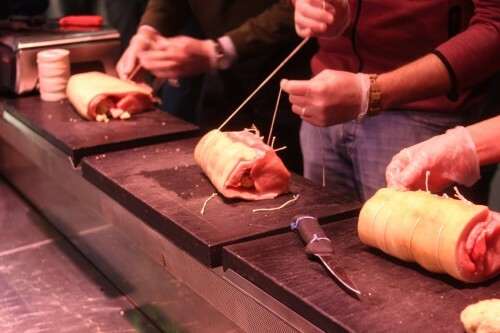 We will show you how to roll a joint of pork and each person will then get to stuff and roll their own joint under the supervision of our butchers, this will be your to take home and enjoy. 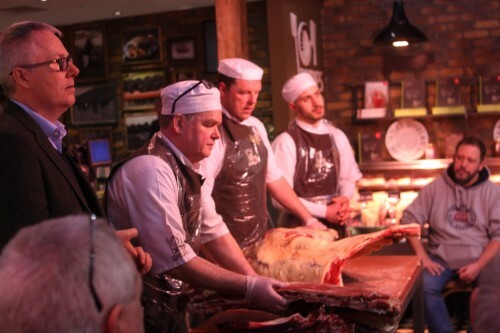 During this demonstration we ignore the familiar and concentrate on the forequarter of beef . 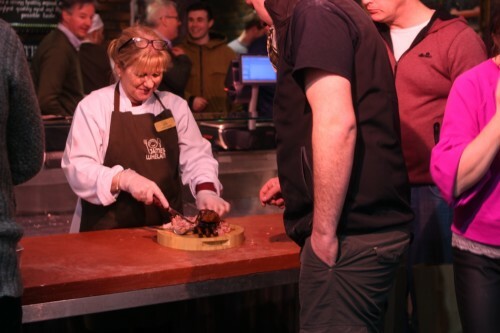 As our butcher break the beef down you will be shown cuts of beef including Jacobs Ladder, The Blade, Feather and Bowler steaks- During this time we will cook some beef for you to sample. 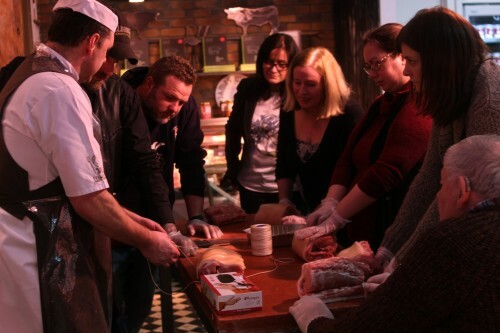 Our Butchers will demonstrate to you how to de-bone a chicken and how easy it is for you to do at home yourself. 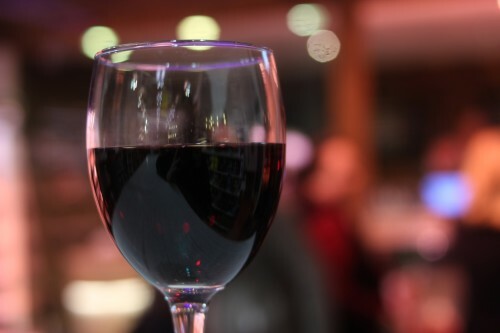 Please join us for a glass of wine and sample some our slow roasted pulled pork shoulder, while we chat about what we’ve learned during the evening. 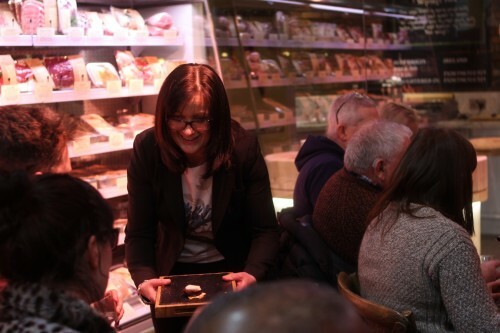 You will leave with a new found appreciation of the magic of meat and a gift bag with The Irish Beef Book and your pork joint to take home. To purchase tickets for the demonstration, select the number of tickets you require below. You will be taken to PayPal to complete your purchase. Please note: You do not need to have a PayPal account - payment is accepted via credit or debit card.